11 April 2019, at 9:30a.m. Over their lifetime, most dogs are likely to need medication in some form or other, which might be in capsules, tablets or liquid form and could be for preventative treatments such as parasite control or for prescription medications. 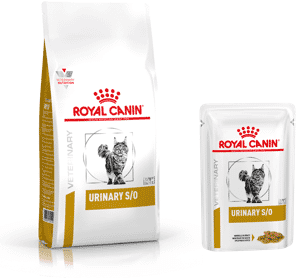 An internal study by Royal Canin (2018) revealed that one in four owners will leave the veterinary clinic with oral medication after a consultation. In terms of owner compliance (the percentage of owners receiving a treatment, screening or procedure in accordance with accepted veterinary healthcare recommendations), a study by Albers and Hardesty (2009) showed that only 76 percent of owners were compliant in giving the medication as prescribed, which means that around a quarter of pets didn’t receive their medication. For pets with certain conditions, such as cardiac disease, this could pose a significant risk to their health and welfare. In the same study, 60 percent of owners were so frustrated by the difficulty of giving tablets that they stated they would be willing to pay up to three times more if the tablets were more palatable or easier to give. Methods used by owners include hiding the medication in the dog’s usual food (which is not ideal as it could potentially trigger food aversion) or hiding it in human foods such as sausages, cheese and pâté. As noted by veterinary nutritionist Lisa Freeman on her blog (Petfoodology, 2018), many of the human foods used by pet owners for this purpose could pose a risk for dogs with certain conditions. The high salt content of cheese, peanut butter or cold meats could pose a problem in cardiac patients, and fat levels in cream cheese or pâté may be problematic in patients with pancreatitis. Other unsuitable foods might also be used, such as chocolate cake or grapes. The author once witnessed a dog owner hiding a tablet in half a chocolate Swiss roll and subsequently spent a good deal of time worrying about how much more weight this already-obese dog would gain during the 10-day course of antibiotic treatment. Even when tablets are hidden in human foods, there is still no guarantee that the pet will not detect it and therefore still not receive their medication, and just receive additional calories for no good reason. The ideal solution, then, would be low in calories, hide the flavour of the medication and be palatable enough to ensure ready acceptance by the patient. This is where new Pill Assist by Royal Canin comes in. This is a new, mouldable product which comes in two sizes specifically designed to aid compliance when giving medication to dogs. 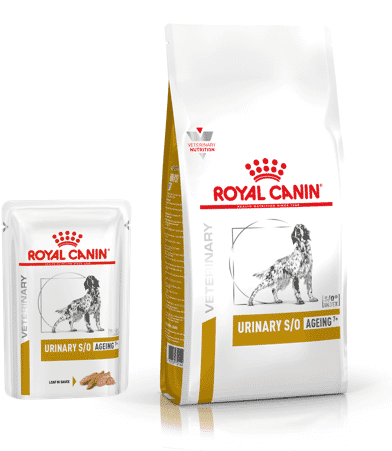 As with all Royal Canin products, it underwent rigorous palatability trials, with 31 dogs (17 small and 14 medium to large) given a bitter-tasting placebo hidden within, twice a day for five days. The dogs had 310 exposures to 610 Pill Assist products and study rules stated that these must be offered from a bowl to ensure that dogs were not compelled to eat to appease their handler. The results of the study were very positive, with over 97 percent acceptance by both sizes of dog. An additional trial was then run on dogs already receiving medication, in which they were given their usual medication but inside the Pill Assist. In this trial, there was 99 percent acceptance with only one dog (a dog that was normally pilled by hand) refusing on only three occasions. Additionally, faecal quality was monitored during both trials and no problems were seen with either quality of faeces or frequency of defecation. The key to completely hiding the taste of the medication lies in the preparation. The tablet should be inserted into the Pill Assist and then moulded closed with the hand that hasn’t touched the medication. Both small and large Pill Assist products have a moderate calorie level at 10 kcals and 25 kcals respectively; lower than the average slice of ham and significantly lower than a similar sized piece of cheese or pâté. A more recent study by Talamonti et al (2015) concluded that ease of applying treatments, including the giving of medications, has a positive effect on owner adherence to treatment protocols. This new product is expected to be very beneficial to the lives of pets in need of medication. Petfoodology 2018 Pill-popping pets: Are the foods you use to give pills safe? Talamonti, Z., Cassis, C., Brambilla, P. G., Scarpa, P., Stefanello, D., Cannas, S., Minero, M. and Palestrini, C. 2015 Preliminary study of pet owner adherence in behaviour, cardiology, urology, and oncology fields.Veterinary Medicine International, 2015, article 618216. Clare Hemmings is Veterinary Practice Support Manager for Royal Canin. Clare qualified as a veterinary nurse in 1995 and joined Royal Canin in 2004. Although no longer on the register, she keeps up to date and passed the Certificate in Canine and Feline Veterinary Health Nutrition with distinction.